Hand-crafted 100% natural crib mattresses made from natural and organic ingredients including Innersprings, Eco-Wool, Organic Cotton Ticking and 100% Natural Latex. Remarkable comfort and luxury at an affordable price. Whether is is our Dream Quilted Crib Mattress made with tempered-steel innersprings, wrapped in layers of Organic Cotton padding, and then covered in a quilting of Eco-Wool and Organic Cotton fabric. Hand-crafted here in the USA. Why Eco-Wool is the best choice for organic crib mattresses. Wool is the most complex, breathable fiber on earth, responding to your body temperature by not overheating, as down tends to do. Most synthetic fibers and even down do not handle moisture well, loosing its insulating properties, clumping and separating as it collects moisture. Wool is a perfect insulator – worn in many areas of the world to keep warm, yet Bedouins of the Sahara wear wool because it keeps them cool. Dust mites thrive in dark damp places, yet wool does not provide the damp medium for them to thrive. Best of all, wool is a natural fire retardant, allowing our crib mattresses to be completely natural and absolutely chemical free. Organic Cotton is grown using methods and materials that have a low impact on the environment. Organic production systems replenish and maintain soil fertility, reduce or removes the use of toxic and persistent pesticides and fertilizers, and build biologically diverse agriculture. Third-party certification organizations verify that organic producers use only methods and materials allowed in organic production. Organic cotton is used as the cover material for our crib mattresses and also as the inner support for all of our crib mattresses other than those made with natural latex. 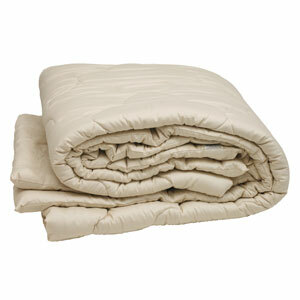 100% Natural Latex is the premium choice for sleeping comfort. In Europe where attention to "skin friendly" is demanded and tested, our natural latex mattress goes above even their standards. Pure natural latex is famous for it's flexibility and elasticity and ability to conform to most body types. Known for its resistance to molds, mildews and dust mites, this is the material for allergy sufferers. 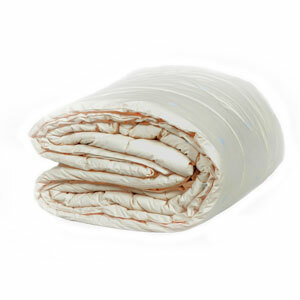 All Good Night Natural latex crib mattresses are covered in a quilting of Organic Cotton and PureGrow™Wool. At Good Night Naturals, we don't support the use of Polylactic Acid (PLA) as a viable fiber in manufacturing mattresses or bedding. PLA is a polymer similar to polyester that can be melt-spun into fiber for textiles. PLA is made from annually renewable resources and under certain circumstances is biodegradable. But the PLA used to produce textile fibers is typically derived from conventionally grown, commodity CORN, and it will only biodegrade under ideal conditions in an industrial composting facility. We support the idea of making products from renewable resources that biodegrade, but after reviewing the environmental analysis of PLA, we're convinced enough to NOT support the use of this fiber. 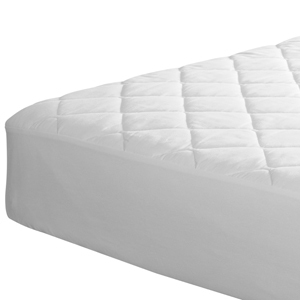 The Dream Quilted-Top Crib Mattress Guaranteed to be free of harmful chemicals and off-gassing. Safe guard your baby's heath with 100% Organic Mattress. 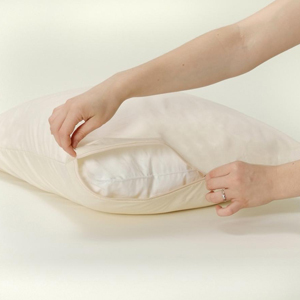 A certified PureGrow™Wool and Organic Cotton stuffing with an Organic Cotton ticking that creates a fresh, allergen free temperature controlled sleep system. No chemical fire retardants. All natural, all healthy. The Harmony Natural Latex Quilted-Top Crib Mattress Natural Dunlop Latex covered in a quilting of Organic Cotton and PureGrow™Wool. Guaranteed to be free of harmful chemicals and off-gassing. Safe guard your baby's heath with 100% Organic Mattress. 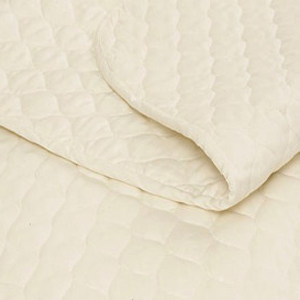 Natural Latex, covered in our Organic quilting is a recipe for a fresh, chemical and allergen free temperature controlled sleep system. No chemical fire retardants. All for your healthy baby.